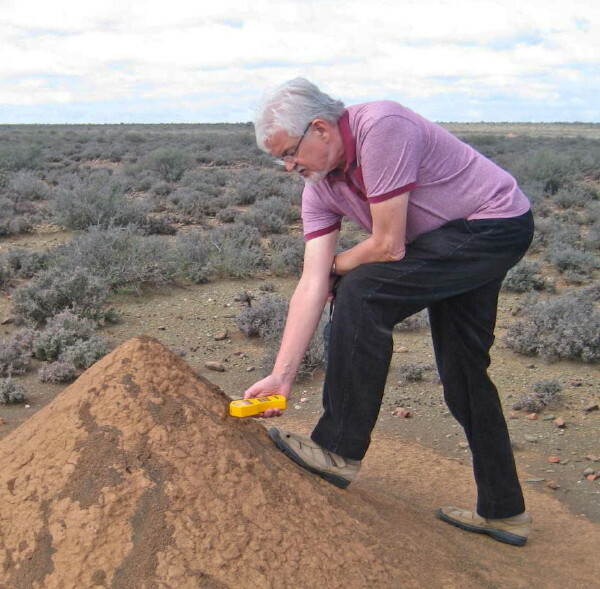 Radioactive dust is likely to be one of the greatest hazards from uranium mining in the Karoo. Just as the threat of fracking seemed to recede in the Karoo, the danger of uranium mining has arisen – and it is even more frightening and more likely than shale gas extraction. 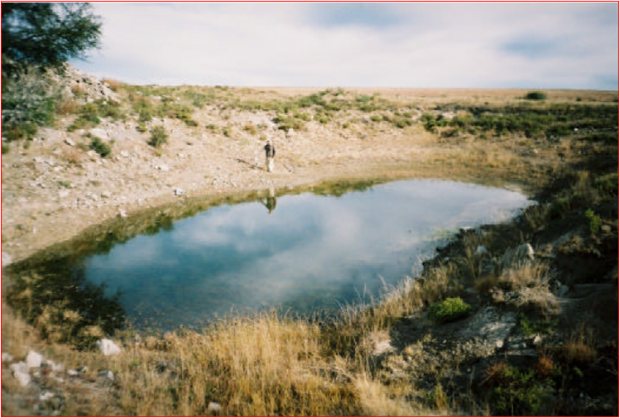 The Karoo has long been known to harbour substantial sedimentary uranium deposits. Now an Australian company with Russian funding is planning to get the radioactive mineral out of the ground on a major scale. The company has quietly accumulated over 750 000 hectares of Karoo properties and concessions around Beaufort West and plans to set up a large Central Processing Plant just outside that town. Peninsula Energy’s mining installation at Ryst Kuil near Beaufort West. While the nation is still debating the pros and cons of fracking, the Environmental Impact Assessment (EIA) as the precursor to mining licences is nearing finalisation. During 2016 the Department of Mineral Resources will make a decision on the industry’s application. Unlike the fracking threat, it is well known that there are substantial resources in the ground, and they can be mined easily. 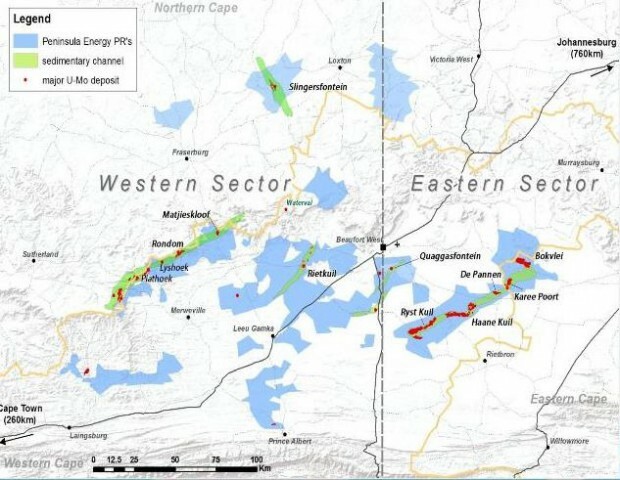 As with shale gas, uranium in the Karoo was first discovered in 1967, when the state-owned Southern Oil Exploration Company (SOEKOR) drilled exploration boreholes for oil and intersected anomalous uranium concentrations. On several occasions uranium has been mined already in the past, although these mines were usually short-lived. Mining waste dumps outside Beaufort West are contaminated and show gamma radation 10 times above normal levels. Unlike the fracking threat, the uranium industry has finalised its exploration phase and is convinced it can mine the resource at a profit. Also, extensive studies on the risks of uranium mining over many decades are available today. We can draw on vast experiences on what huge impact the uranium mining industry has had in such diverse places as in Germany, USA, Australia or Niger. The death toll of a hugely dangerous industry is well known and firmly established. Yet so far there is no public debate, no strategic assessment process in place in the Karoo. No advocacy groups balance the glossy claims of the industry against sobering experiences on the ground. While global energy prices are depressed, the deepening economic and political crisis makes South Africa less and less attractive to the huge investments necessary to establish an upstream gas industry. Importation of Liquefied Natural Gas (LNG) through ports and pipelines seems to be a much more realistic strategy. In the meantime, renewable energies like wind and solar energy are getting cheaper by the year and will soon have knocked the bottom out of Karoo shale gas dreams. 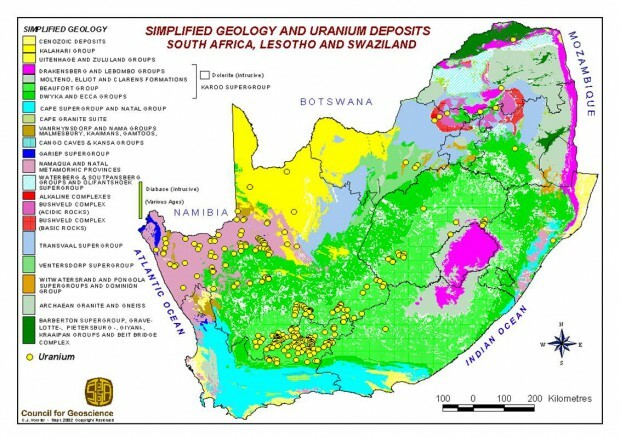 Uranium deposits in South Africa marked with yellow dots. Map from Council for Geosciences. 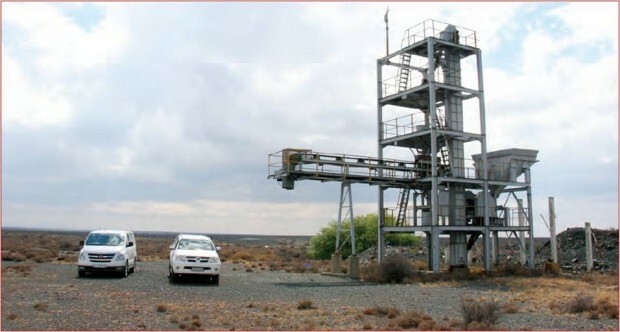 Uranium Mining in the Karoo – Why Now? Opponents of fracking had long made mention of the known occurrence of uranium in the Karoo subsoils. They pointed out to the dangers of extensive drilling and fracking of uranium-bearing formations. Formation and flow-back water could contaminate surrounding waterways in the same way as has happened in Pennsylvania, USA. In the Karoo, uranium exploration and some mining have occurred on and off for the last 50 years. Exploration first started in 1969, but the Three Mile Island nuclear accident ten years later put paid to all further plans. The short-lived nuclear renaissance of 2005-2008 rekindled interest and saw serious new investments and geological studies, especially undertaken by the French nuclear corporation AREVA. 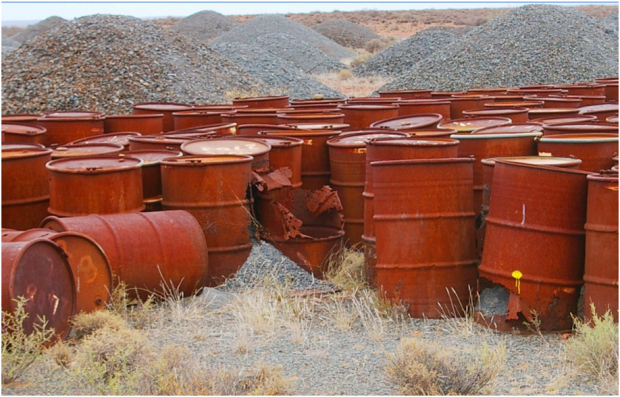 The Karoo faces a new and very dangerous threat: uranium mining. When this company ran into serious troubles globally, they had to sell their assets in 2013. Again, the full-blown nuclear disaster of Fukushima-Daaichi of 2011 curtailed further investment, as market prices for uranium remain severely depressed. Why then suddenly such large-scale and determined plans to mine a resource that the market hardly needs at this point in time, just as the market for nuclear power is shrinking? The answer lies more in strategic geopolitics than in short-term economic realities. Since the turn of the century, Chinas has been on an aggressive investment path into African nuclear resources. Its involvement in Namibia is about to make this country the third biggest uranium producer worldwide, almost exclusively in Chinese hands. Further investments have been made into the uranium sectors of Botswana, Zimbabwe and Malawi, to name just a few. The Soviet Union and later Russia has always relied on its ‘domestic’ resources from Kazakhstan and Ukraine. Today, however, both countries are less stable and reliable. Therefore, Russia needs to look elsewhere for uranium resources, and needs to underpin its continued aggressive marketing of its nuclear industrial capacity. Russia’s largest bid so far is the new nuclear build proposal for South Africa. If concluded it would also be South Africa’s largest infrastructure project ever. There is a deafening silence in the public domain regarding uranium mining in the Karoo. Unnoticed, the largely unknown South African company Lukisa silently accumulated some 750 000 hectares of uranium exploration concessions in the three Karoo provinces of Northern Cape, Western Cape and Eastern Cape. The pale blue indicates Tasman RSA Mines’ Karoo uranium concessions, amounting to 750 000 hectares. The company did so by changing partnerships with different nuclear corporations like UraMin and AREVA, thus gaining access to all earlier exploration data. The Perth-based Australian uranium miner Peninsula Energy is now engaged in a joint venture with Lukisa, called Tasman RSA Mines, with offices in Beaufort West. Its working capital comes from several institutional investors, but is dominated by Pala Investments, domiciled in Jersey (UK) with offices in Zug (Switzerland). Pala is a relatively unknown mining giant. According to its website, the fund has invested since its inception in 2006 in a total of 87 mining ventures in 25 countries across all six continents. The company is controlled and run by the Russian oligarch billionaires Vladimir Iorich and his son Evgeniy Iorich. This should come as no surprise, as the secret (but leaked) nuclear agreement between Russia and South Africa calls for Russia to invest and possibly control the entire value chain of the nuclear cycles from mining, beneficiation, enrichment and fuel fabrication to energy generation, waste disposal and decommissioning. It is only in this context that the renewed interest in the Karoo uranium makes sense. It is particularly interesting to see who the South African partners are in this joint venture. The Black Economic Empowerment partner in this case is Lukisa, which holds a total of 26% of Tasman RSA Mines, primarily in the form of exploration rights and nuclear licenses from the National Nuclear Regulator . Perhaps more important are the excellent relations Lukisa has with Government and the ruling ANC. Lukisa was founded by the controversial Andile Nkuhlu then a leading member of the ANC Youth League (ANCYL). He belonged to the faction co-opted by the then mining magnate Brett Kebble, whose assisted suicide made headlines in 2005 after he swindled government out of billions of Rand in shady mining deals. Andile Nkuhlu was then made chief director in the Department of State Enterprises until his career stumbled in a corruption scandal. He pre-empted his dismissal from the ANC by founding the opposition party Congress of the People (COPE). When this flopped he was readmitted to the ANC and continued to influence provincial polices in the Eastern Cape. A few years ago he relinquished his position at LUKISA because of deteriorating health, until he succumbed to diabetes complications in December 2015. Now the company is run by Tefo Maloisane, who is said to have a long history of excellent political connections. Part of Tasman RSA Mines’ uranium concessions in the Karoo. See full area in preceding map. 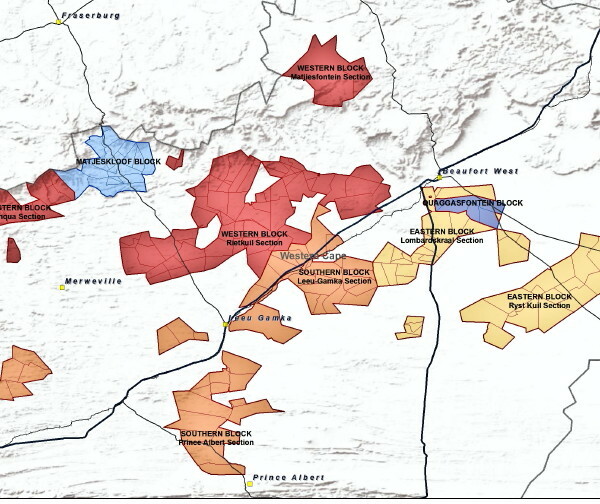 According to its documents, Tasman RSA Mines today controls exclusive prospecting rights over more than 750 000 hectares in a circle of nearly 200 kilometres around Beaufort West. About 32 000 hectares are directly owned under freehold by the company. Local farmers find it hard to resist purchase offers, as farming in this part of the Karoo is particularly difficult due to low rainfall and poor soils. Unlike in fracking, farms are permanently damaged by uranium opencast mining. Dr Stefan Cramer measuring gamma radiation near exploration boreholes. It is worth noting that it was only from 2011, a full 25 years after Chernobyl, that British sheep in northern Wales, Scotland and Northumbria no longer had dangerous levels of radioactive Caesium in their flesh. According to the stringent rules of JORC-Reporting (Joint Ore Resources Committee: The Australasian Code for Reporting of Exploration Results, Mineral Resources and Ore Reserves, the Australian equivalent to SAMREC, the South African Code for Reporting of Exploration Results, Mineral Resources and Mineral Reserves), the company estimates it controls a resource of approximately 57 million pound of Uranium Oxide U3O8 (about 25 000 t) with an average grade of 0.1%. Karoo uranium is found in so-called Palaeo-Channels, hosted in riverbed sandstones of the Permian age. This is the reason why the deposits are in narrow lines across the Karoo. Most uranium-bearing sandstones are at a shallow depth of 5 to 50 metres below the current surface and will thus be excavated in open pit mining. Radioactive uranium waste lying exposed at Ryst Kuil. The concession was bought from AREVA by Peninsula Energy in 2013. Only a few sections will be extracted by underground mining. So far the company has not indicated whether they would use ‘in-situ-leaching’, a particularly dangerous but low-cost method. Here, large quantities of leaching agent are injected underground. The uranium is dissolved and recovered in well fields. The uranium deposits are scattered over large zone of 200 by 300 kilometres which will necessitate trucking of ores over poorly constructed dust roads for hundreds of kilometres to reach the Central Processing Plant. For this plant, the company has already applied for a water licence to abstract annually 700 million litres of groundwater annually, roughly half of the total water consumption of the Central Karoo Municipality. It is still unclear what will happen with the contaminated waste water. A discharge of radioactive waste water into the aquatic environment, above or below ground, would be illegal under South Africa’s strict Water Act. Most probably contaminated slimes will be delivered to large settling ponds, like those around Johannesburg, from which the remaining water will evaporate. This leaves behind a soft and unstable pile of contaminated soil which can be easily mobilised by the strong prevailing winds in the Karoo into large dust dispersal. Already today, the environment around Beaufort West is contaminated close to the previous mine sites. 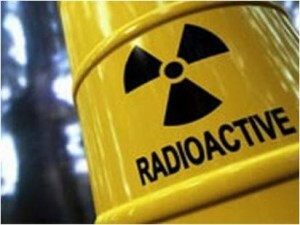 First field studies by the author show unprotected nuclear wastes with 10 to 20 times the background radiation. Radioactive dust contamination will be virtually impossible to stop. The devastating impacts of uranium mining on people, especially the mine workers, and the environment have been well research and documented. Several studies of large number of cases and with exposure over many years (Wismut AG in the former East Germany, the Colorado-Plateau in the USA, and Saskatchewan in Canada, have established a particular direct relationship between occupational exposure to uranium and its decay products and lung diseases. 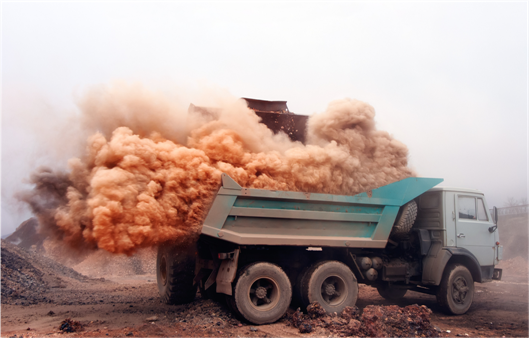 Mining uranium ore in the Karoo will invariably create huge plumes of contaminated dust. 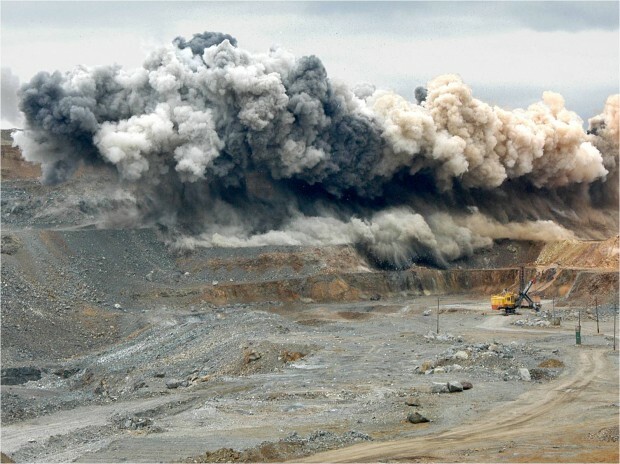 Dust clouds are unavoidable during drilling, blasting and transporting. Dust suppression by spraying water is only partially effective and creates new problems with contaminated slimes, adding to the environmental cost of groundwater abstraction. 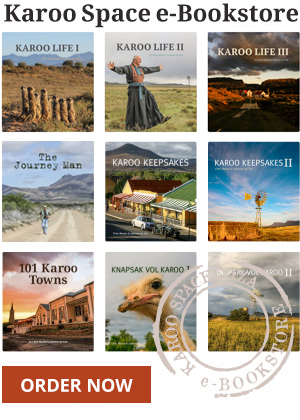 What is Happening Now in the Karoo? Over the last years, Peninsula Energy has concentrated on developing a uranium mine with similar properties in Wyoming, USA. Their Lance project utilises the dangerous in-situ leaching (ISL) method. 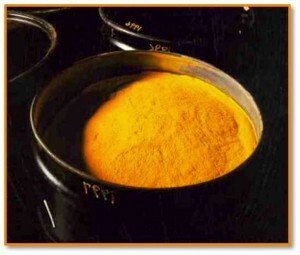 Lance recently delivered the first charge of uranium Yellow Cake to its customers. Peninsula’s Karoo project is still at the Pre-Feasibility-Study (PFS) stage. Old boreholes have been retested to better delineate the ore bodies. Peninsula reports good progress. Engineering studies are underway for the Central Processing Plant at Ryst Kuil. To conduct the legally required Environmental Impact Assessment (EIA), the company has contracted Ferret Mining and Environmental Services. The Scoping Process, which determines the parameters of the Environmental Management Plan (EMP), has been concluded and submitted to the three provincial governments. While the specialist studies for the EIA are currently nearing termination, the company will be obliged to disclose its detailed mining and engineering plans to the general public in a series of public consultations in all affected municipalities. This process of public participation is opening the space for a more rigorous public debate on a key issue of the future development of the Karoo, not only in the directly affected Central Karoo, but also further afield. But the current level of information on uranium mining in general and the detailed plans for the Karoo in particular is still rather poor. A series of information sessions in 2015 by the consulting company Ferret Mining attracted only a handful of local farmers and other interested and affected parties. 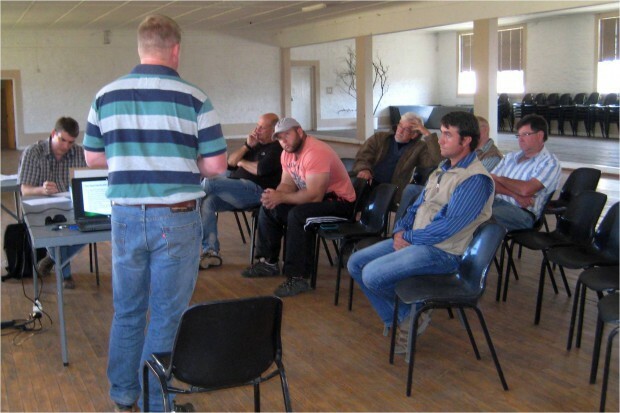 So far, public participation in planned Karoo uranium mining has been very poorly attended. The three provincial governments are completely silent. It is their duty to equip their citizens with the necessary knowledge to participate in a meaningful debate. 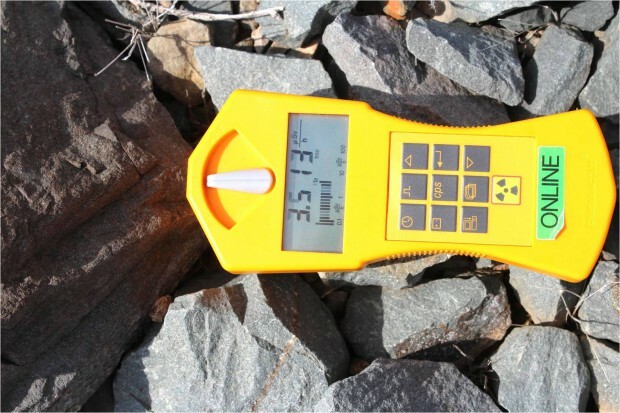 The South African government has identified uranium as a strategic mineral. This implies that there would be strong limitations to the export of unprocessed uranium. The current national nuclear debate centres on nuclear power generation alone, but fails to address uranium mining at the origin of the nuclear value chain, with its widespread damages and costly remediation requirements. The legacy costs of uranium mining have been well researched and documented (see also Broder J. Merkel, Mandy Schipek, 2011: The New Uranium Mining Boom: Challenge and lessons learned – Springer, Berlin-Heidelberg). The affected municipalities should start their own debate as part of their legal duty to develop consistent and sustainable Integrated Development Plans (IDP). Many of the affected municipalities’ IDPs do not even reflect, or discuss the long-term threats stemming from uranium mining in their midst. Rivers draining the part of the Karoo that could be mined for uranium. Many people realise the widespread impacts of mining only when it is too late. The Brazilian fishermen woke up to that reality, when the large tailings dam of Samarco in the Minas Gerais region burst and sent a toxic plume of millions of tons of mine wastes into the Rio Doce, one of the most important waterways of Brazil. More than 500km of river will have to be dredged to remove the toxic sludge. The environmental damage is estimated alone at US $5 billion. 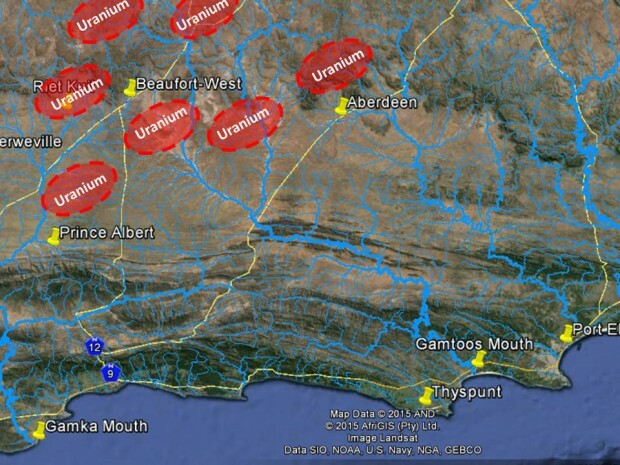 Most of the uranium mining fields of the Central Karoo drain into the Gamtoos River, which reaches the Indian Ocean near Jeffrey’s Bay, ironically only a few kilometres away from the site of the proposed nuclear power station at Thyspunt. A massive educational campaign is urgently needed. The author, employed with the Southern African Faith Communities’ Environment Institute (SAFCEI) will focus his work in 2016 on this subject. Attention should be directed at farmers, farmworkers and farm dwellers in the affected areas. It would be important to use the successful mobilisation with regards to shale gas development, as uranium mining affects the same areas in similar ways. In addition, the broad-based national resistance against the nuclear build programme should be made aware that the uranium cycle starts with uranium mining. Uranium wastewater can contaminate surface and groundwater. This should be directed in particular to trade unions, as uranium mine workers have been found in many studies to be the most affected by radiation and dust-related diseases. But first of all, concerned citizens need to get organised and participate meaningfully in the ongoing EIA process. People should make their voices heard in the public consultations expected to take place over the course of the year 2016, before mining rights are granted. To register as Interested and Affected Parties write to Ferret Mining at info@ferretmining.co.za or call 012 753 1284/5. To stay informed, join the Facebook page Stop Uranium Mining in the Karoo. Dr Stefan Cramer is a hydrogeologist from Germany, currently seconded to the Karoo by the Southern African Faith Communities‘ Environment Institute (SAFCEI). He is based in Graaff-Reinet to assist local communities with the problems of fracking and uranium mining. You cannot eat money; You cannot eat uranium; You cannot return nature to its ORIGINAL STATE; When the product is gone, what will be left but death and destruction!!! Rather build solar energy generators and panels which will last forever – or as long as the sun shines!! When this area is contaminated and polluted, the roads and rail links to the north will be a death trap. We have already seen the infinite trouble with nuclear waste – Fukishima, Koeberg, and others, that will be with us for eternity. The after-effects start with the first shovel full of gravel. NO!!!!! No Mining. NO foreign companies. NO foreign money. Leave the Karoo alone, it is a beautiful stunning place. We do not need greedy people and companies stuffing it up for their pockets. The long-term effects of this will not benefit the Karoo or its people in anyway. There are other ways to create jobs and sustain the Karoo. The mining of shale gas and uranium is not one of them. Where can I deliver comment on this irresponsible and politically corrupt practice? What is happening with this now? Has anyone got any idea of the unbelievable pollution of Uranium at Phalaborwa Mining Company ?? Those settlement ponds were over 8000uS/sec when I tested the area many years ago. That water is running into underground water into the Kruger National Park. It is really scary, what is actually going on in the mining industry and the corruption right up to the eschelons of our government. Illegal cobalt with HIGH concentrations of U235 coming into South Africa coming in from the Congo, and when I started making alarms, my contract suddenly was terminated. I would suggest you start doing investigations around City Deep and Gezina in Pretoria, where tons of illegal material was buried. Go look at the warehouses as well. You will also be bribed to “look the other way ” but if you have integrity, you will lose your job as well.